Coat each shrimp with beer batter and then coat each shrimp with the Panko crumbs. Once shrimp are coated, drop them in oil for a minute or until golden brown. Mangia! It’s the BEST fried shrimp I have ever eaten. Hands down! 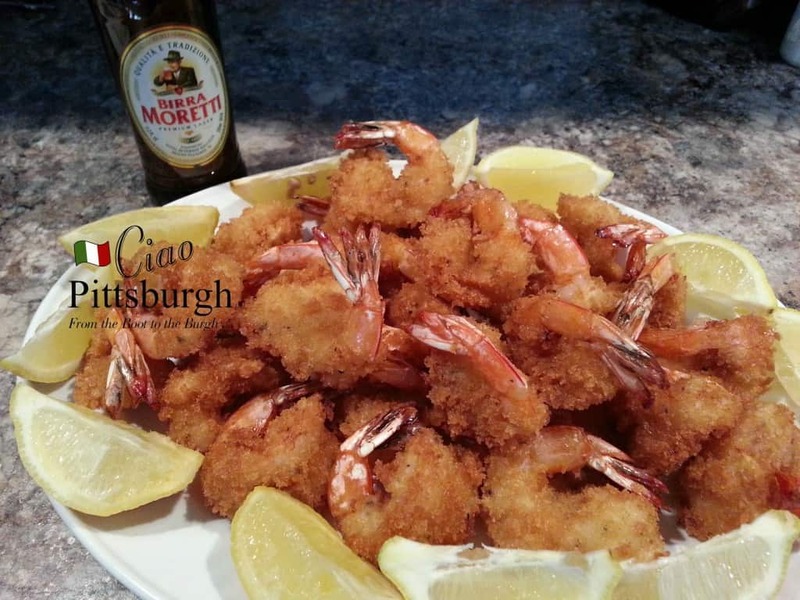 Make sure you use the rest of the Moretti to wash down the shrimp!